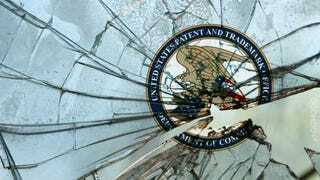 Probably the worst thing about America's very broken patent system is the existence of patent trolls: companies that own intellectual property for the sole purpose of using it to sue other, actually productive, firms. Unfortunately, whilst big-name tech firms are generally able to defend themselves against the threat of a frivolous lawsuit, smaller companies often end up settling — patent trolls deliberately ask for relatively small settlements, so that settling becomes cheaper than actually fighting the crap. That's nothing short of a Mafia-style shakedown, so Ars Technica's news that startups can now buy protection against patent trolls is fairly welcome. For a 'small' premium — said to be between $7,500 and $10,000, startups and small tech firms can buy coverage from RPX for up to $10 million against Non-Practising Entities (NPEs). That goes to either legal fees or a settlement in the event of a frivolous lawsuit from a NPE.